Sometimes it can be hard to define what an actual console digital piano is. I had my first experience with one as a youngster in my uncle’s church one summer. I was so surprised by the unique sound and shape of the machine. Truthfully, at first, I really didn’t know what it was, or whether to regard it as a piano or not. That summer I played around with that Yamaha Clavinova and I fell in love. Today, even though I have a much better understanding of console pianos, I am still fascinated by them in many ways. And the Yamaha Arius YDP-162 is certainly a console piano in every sense of its distinction, and it inspires and instills the same passion and fascination in me as did that first encounter with my uncle’s Clavinova. Below, enjoy our interactive piano buying guide. 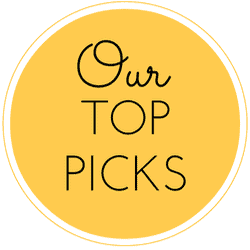 Here, you will be able to see how the affordable Yamaha YDP 162 stacks up against competition like the Casio PX 850 in categories like weight, price, and customer reviews. 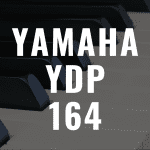 Note: We have recently published our review of the Yamaha YDP-163, which is the successor to the YDP-162. The Yamaha Arius YDP-162 is a beautiful piano to behold. It comes in two different elegant finishes. One is a beautiful Dark Rosewood finish, the other is a Black Walnut finish. The shape of the piano is built with the classical console piano cabinet style, complete with a sliding cover and a matching music rest. The piano comes with an simple assembly process, which will set the body of the keyboard on matching legs complete with a piano back, and a three pedal unit system across the base of the piano. The three pedal unit has the customary soft, sostenuto, and sustain pedals any serious piano player would be looking for. As far as measurables are concerned, the YDP-162 stands 33 inches tall off the floor, stretches 53 inches wide, and is 16 ½ inches deep. Because of the style of this piano, it shouldn’t be surprising (but it is still a little shocking) that this piano weighs in at a hefty 92 lbs. But once you set this bad boy set up, you probably won’t be moving it around that often. For a lot of console pianos, though not all of them, the focus is certainly not on providing a bevy of digital voices and tones, like many of the producer-themed pianos or synthesizer influenced digital pianos. Consoles are mostly concerned with providing the most realistic upright or grand piano experience to the piano user. Such is the case with the YDP-162. The piano only has a whopping total of 10 sounds on board, but they are all designed to be as exquisite and smooth sounding as they can be. On this machine there are three distinct grand piano sounds; one a concert grand piano, one based on a stage piano, and another based on an upright or acoustic piano. There are two electric pianos, a harpsichord, vibraphone, pipe organ, jazz organ, with strings to round it off. The Yamaha YDP-162 has a wonderful amount of great engineering and commendable technology on board. There are a number of different graded hammer key action systems that Yamaha engineers have designed for their digital pianos, and each key action is different for each piano. Some systems are designed differently than others, and some simply are more current generations of the same series. The YDP-162 houses the Graded Hammer (GH) keyboard, which is certainly a dependable system, but not the most current or best for a Yamaha digital piano. 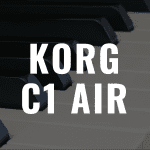 The action comes with desirable Synthetic Ivory Key Tops which are specifically engineered to replicate the feel of real ivory keys on an actual grand piano and also absorb moisture from the piano player’s fingers, something that would be especially helpful during extensive live performances. One of the awesome things about purchasing this piano is that you can couple it with some extra features or accessories (so be on the lookout for great deals or sales on YDP-162 bundles). Certain packages of the YDP-162 come with a handy grand piano bench, a nice touch that would suit the elegance that comes with purchasing a piano of this kind. Another feature that is key for this piano is Yamaha’s Acoustic Optimizer, a feature that naturally changes and regulates the resonance and acoustical flow generated by the entire piano and optimizes it for any setting that the piano might be in. 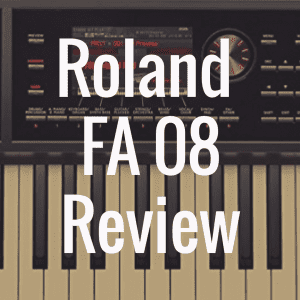 In addition to that is a 2-track recorder built into the piano that will allow any user create melodies of his own and transport them using the USB to HOST connectivity feature onboard. 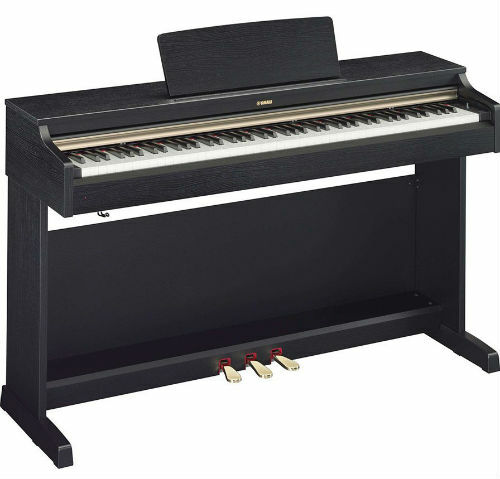 There are a number of console pianos that can be compared with the YDP-162. One of the best examples I can think of is Casio Privia PX-850 (due note that the PX-850 has been replaced by the Casio PX-860). Both the YDP-162 and PX-850 are wonderful machines. However, there are a lot of differences between the two. The PX-850 has an amazing 256 notes of polyphony, while the YDP-162 only has 128. With that said, the YDP-162 has a better and higher end graded hammer action system with the GH board, while the PX-850 only has their patented Scaled Hammer Action system, which is a step below. 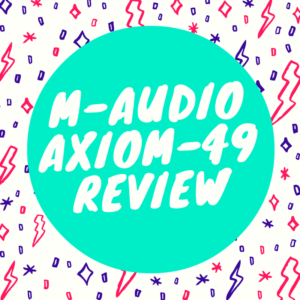 The Casio PX-850 probably has the better sound engine and tone generator with Casio’s AiR (Acoustic and Intelligent Resonator), which I would say comes in a step ahead of the YDP-162’s Pure CF sound engine. The PX-850 is certainly more attractive because of its price, coming in at a few hundred dollars less than the YDP-162. The PX-850 will also be more attractive to users who maybe aren’t as advanced in playing piano, users who may be a little bit intimidated by some of the bells and whistles afforded by the YDP-162. The PX-850 also has selection of tones and rhythms that is a little bit larger, with 18 total onboard tones to choose from. At the end of the day, it all boils down to your specific needs when choosing between the two. 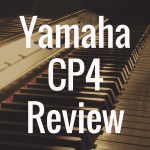 If this article helped you at all, please “like” our Digital Piano Review Guide Facebook page.